Charles de Gaulle, President of the Fifth Republic of France, was invited to Canada in 1967. He was a guest of honor during the Montreal World Fair. He received this invitation because of his fame as a French General and statesman, and because France and Canada had been cooperating to assist former French colonies. De Gaulle's residence was the flagship of the French navy - one of the largest, most powerful and most heavily armed cruisers in the world. It made quite an impression as it made its way up the St. Lawrence river to Montreal. When De Gaulle gave his address, his host, Montreal Mayor Jean DRAPEAU was astonished at the new punchline of the text. The customary closing remarks had been replaced by an endorsement of Quebec separatism by De Gaulle: Vive La Montreal! Vive la Quebec! Vive Quebec Libre! This phrase - Vive Quebec Libre! - was welcomed by Quebec separatists who wanted to secede Canada. However, most citizens of Canada felt offended by De Gaulle's appeal. Canada was perceived a free country, and Canadians, including Quebeckers, have been considered to enjoy liberty and more rights than many other nations in the world. 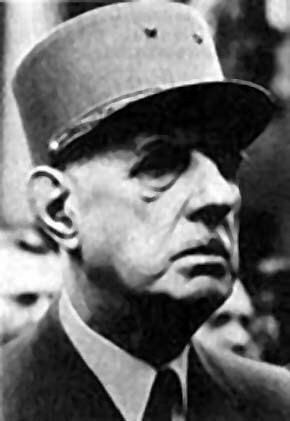 De Gaulle was immediately denounced by the mayor of Montreal Jean Drapeua for claiming that Canadians were not free. What right had the President of France to interfere with the domestic affairs of another nation? Canadian Prime Minister Lester Pearson demanded that De Gaulle be expelled from Canada. Most Canadians were angry that a national celebration had become an insult.